Coat a deep saucepan with nonstick cooking spray and heat on high for 30 seconds. Lower heat to medium and cover pan. Add ground beef, mix well and cook, uncovered, until meat begins to brown slightly, about 2-3 minutes. Add oregano, salt, cayenne and black pepper and stir. Add tomato paste, stir well and allow to cook for 30 seconds. Add stewed tomatoes and mix well. Add beans and cocoa powder, and stir gently. Add chicken broth and cilantro and reduce heat to low-medium. Cover and simmer for 12-15 minutes. (For a thicker chili, remove cover and simmer for 1-2 minutes more.) 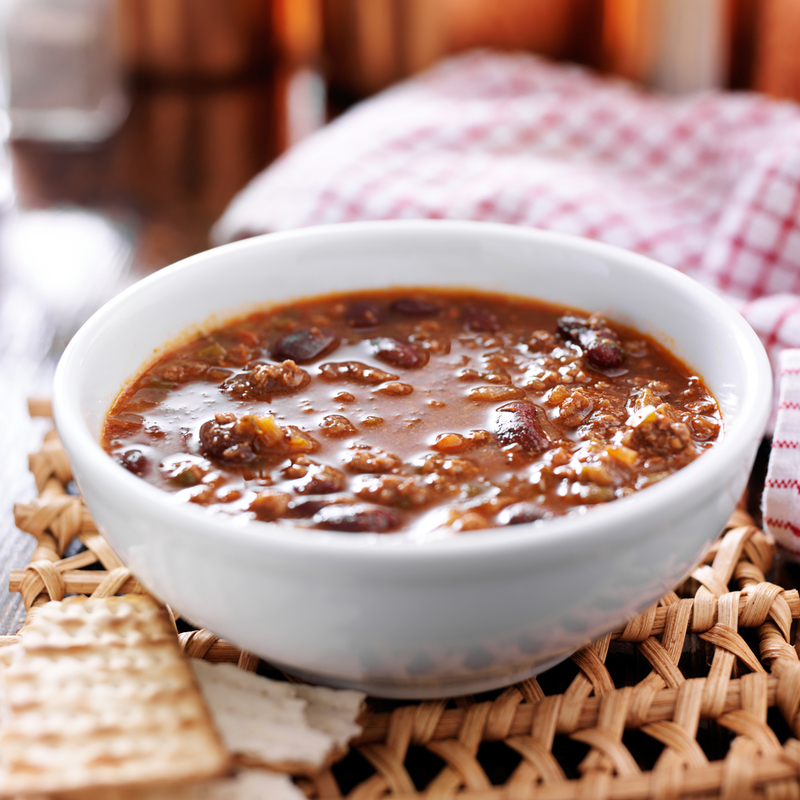 To serve, divide chili among 4 bowls.